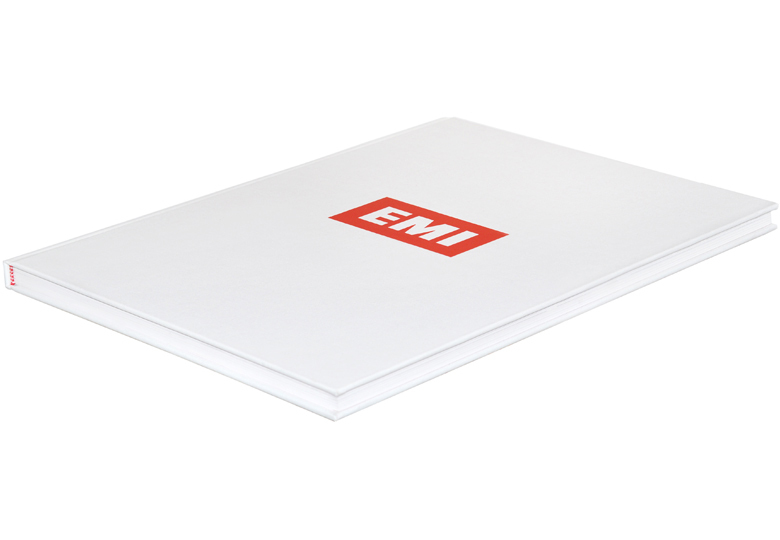 EMI had undergone a period of change and restructuring. The main objective was to achieve a consistent global image and branding. Previously with no clear guidelines, free interpretation of the EMI logo led to many different styles with no clear system. The key challenge for any global brand is always rooted in the consistency of design and brand messaging; our work with EMI addressed and solved this issue for the company and yielded a vital new understanding of the company's internal communications structure. 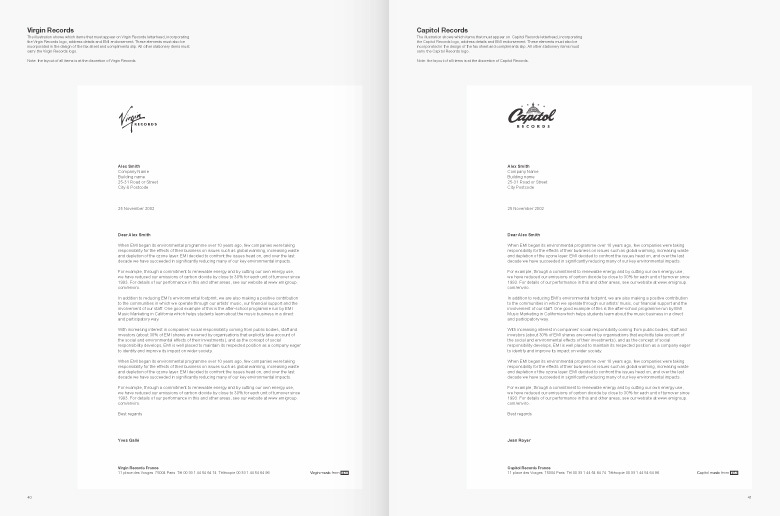 it more contemporary whilst aiding legibility when reproduced at a small size. We consolidated all the different logos into one global communications system that was consistent across all EMI’s companies and divisions. 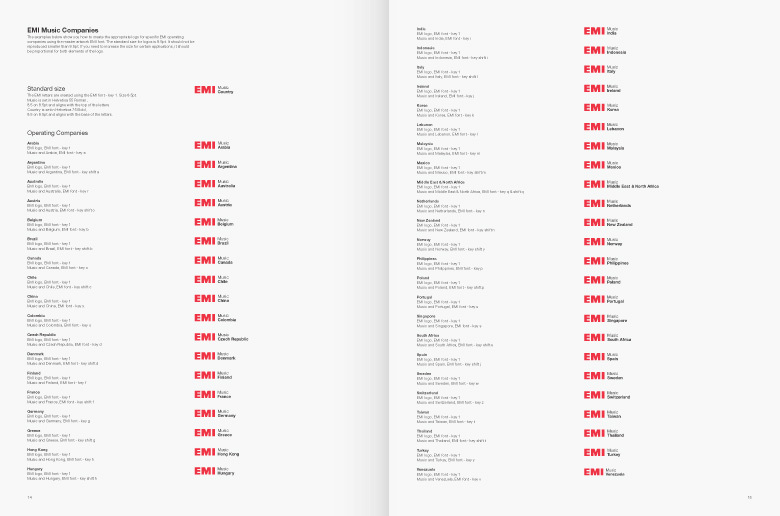 A public facing EMI logo was partnered with a series of internal B2B variations depending on the 42 country and 12 divisions. the new structure and how individual regions and marketing divisions were represented. This helped illustrate that all EMI Music regions and companies were part of the same naming structure.